Aston Villa are hopeful midfielder Jordan Lyden will be fit again just after the squad return for pre-season training. The former ECU Joondalup academy product, is regarded as one of Villa’s most highly rated young players. The 20-year-old sustained what was initially thought to be a knee injury during the 4-0 defeat at Arsenal on the final day of the Premier League season. It was feared Lyden might have to spend a lengthy spell on the sidelines but tests have shown the problem to be a thigh issue and the damage is not as bad as was initially feared by the club’s medical staff. Caretaker boss Eric Black insisted it was too soon to make an accurate assessment on Lyden when he was asked after the game. “He’s tweaked his meniscus a little bit I think,” he said, which means Lyden will know more in the next 48 hours. Injury thwarted 20-year old Lyden last year when a hamstring injury halted his first team progress. But after fighting back from the set-back, he went on to be the outstanding performer for the under-21s this season and also break into the senior squad. 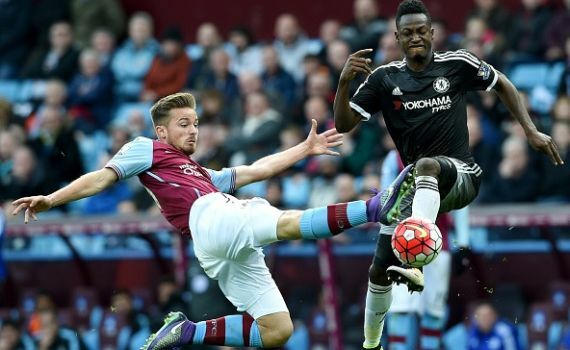 Villa’s U21 captain will now receive treatment throughout the summer at the club’s Bodymoor Heath training ground, with the rest of the squad set to return for training at the beginning of July as they try to plot a direct return to the top-flight following relegation. Lyden was making only his second Premier League start at the Emirates on Sunday, where he played as an emergency right-back.